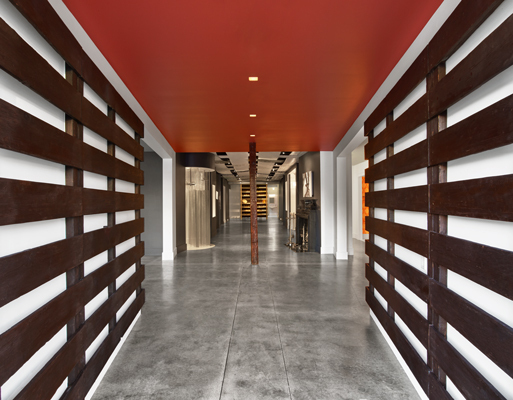 The first SW Showroom on the West Coast expresses a new way to see an established brand. 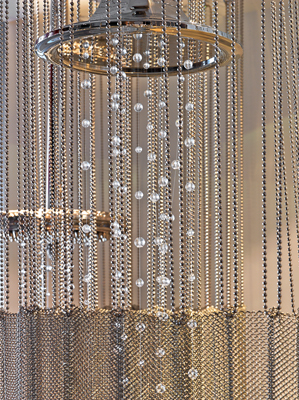 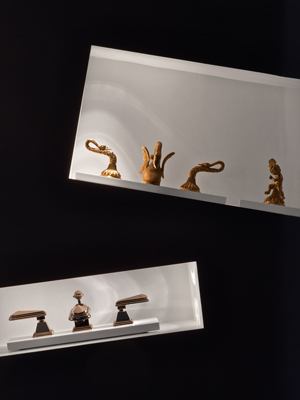 Traditional displays are balanced by a new unexpected way to view the Sherle Wagner product line. 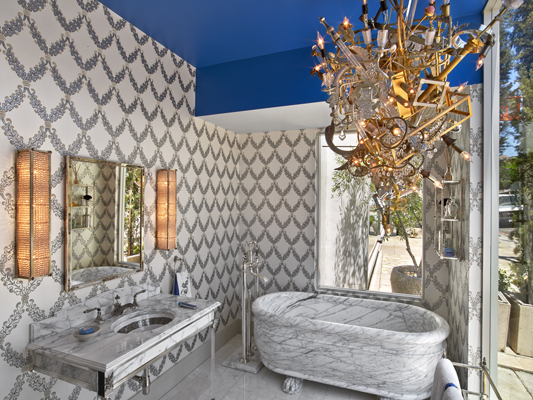 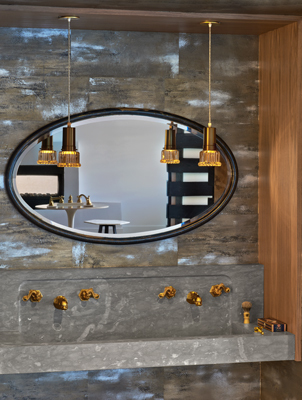 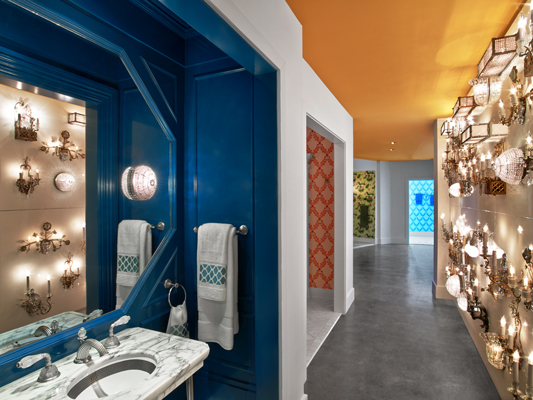 A garden with water cascading on marble sinks carved from the front façade is balanced by a conventional bathroom display with a prominent custom light fixture of SW cherubs, towel bars and fittings. 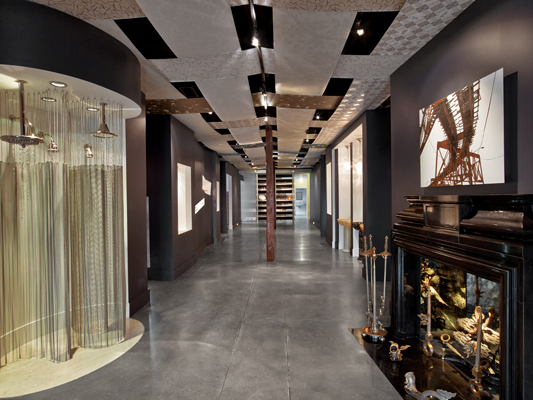 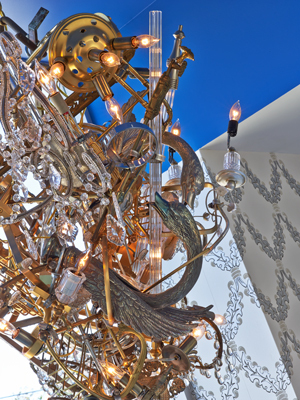 The interior space showcases the product by presenting the objects as art in a gallery like atmosphere under the wallpaper weave ceiling above. 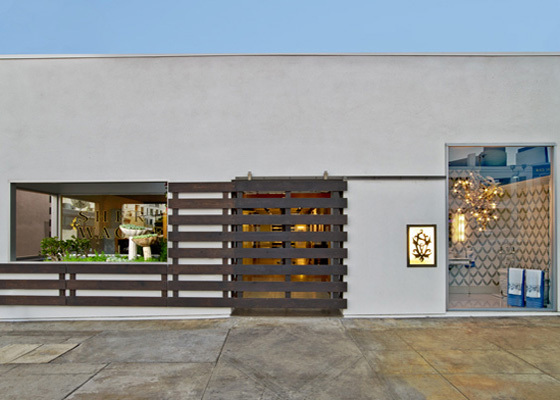 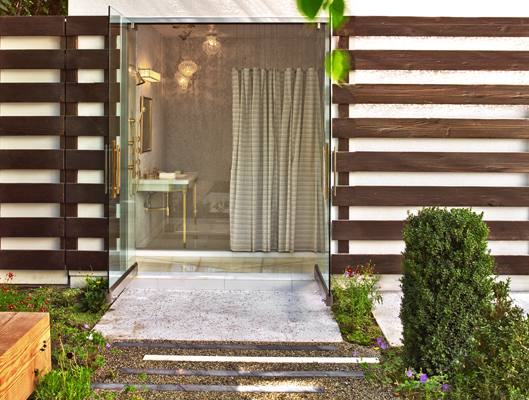 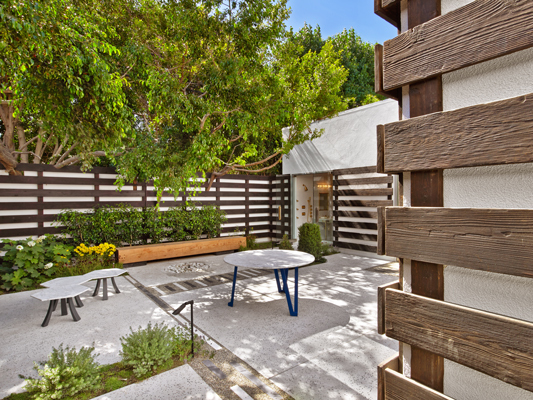 The burnt wood cladding on the one story stucco building presents the front entrance and connects the private garden entry for clients.